Pick up at your hotel at 8:30 Am . Today we enjoy a full day city tour, seeing the the Ho Chi Minh Complex, containing the mausoleum of the nation’s founder Ho Chi Minh, the Presidential Palace and the Ho Chi Minh’s house on stilts. The complex also comprises the One Pillar Pagoda, whose origins date back to the foundation of Hanoi. The next stop of our trip is the impressive Ethnologic Museum, dedicated to Vietnam’s 54 ethnic minorities, some of which we will see on our forthcoming days. We also visit the Temple of Literature and the peaceful lake of Hoan Kiem with its sacred temple. The reminder of the day is free for your own exploration of Ha Noi until transferring to the rail way station for a night train to Lao Cai. The train conditions are very basic however we will travel in soft sleeper class which is compartment for 4 passengers. O/N on board . A long but fantastic days biking, Cycling to Silver water fall and cycle to Ban Khoang villages to Lao Cai border with China, today mixing single-track paths and jeep tracks as we descend 2500 metres to the Chinese border and our hotel at Lao Cai. 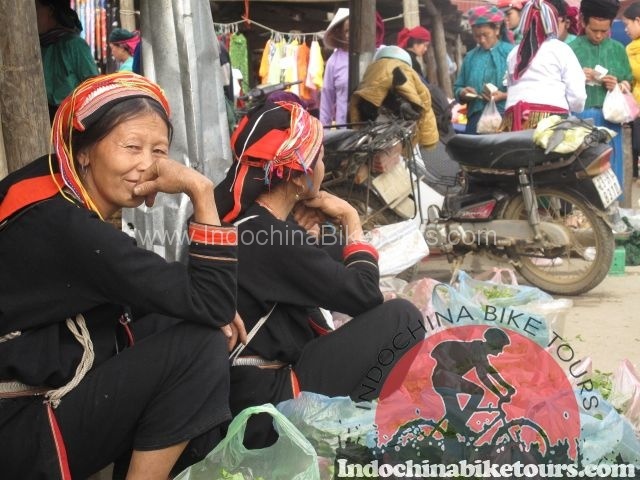 Breakfast , Start cycle from your hotel to Ba Ha .Quiet lanes, a boat trip through the Chay River gorge, river bank single-track and an alpine road climb, combine to make an epic days ride to the village of Bac Ha. Breakfast in the hotel and begin our ride directly from our hotel. Today we will bike across one of the most remote parts of northern Vietnam. At first we tackle a steady climb of 6km on good paved road but then turn into short section of jeep track. After around 3-hr riding we will have a picnic lunch wherever we find good for that. 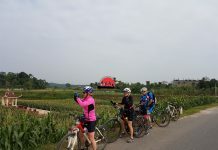 After lunch we continue riding to Xin Man, a small and busy town near Chinese border. 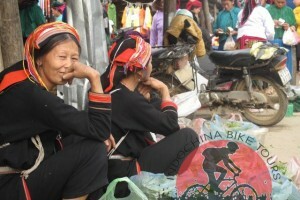 Xin Man is around 75 km from Bac Ha and the biking in the afternoon is not less challenging than the one in the morning. We will climb for the first hour or so up to a plateau at 2500m, where we have fantastic view before hitting rough paved road for a steady descent into Xin Man. During the biking we will have regular stop for break, snack and taking photo. Dinner and overnight in hotel. Today we take a gentle ride covering 90km from Xin Man to Viet Quang Town. 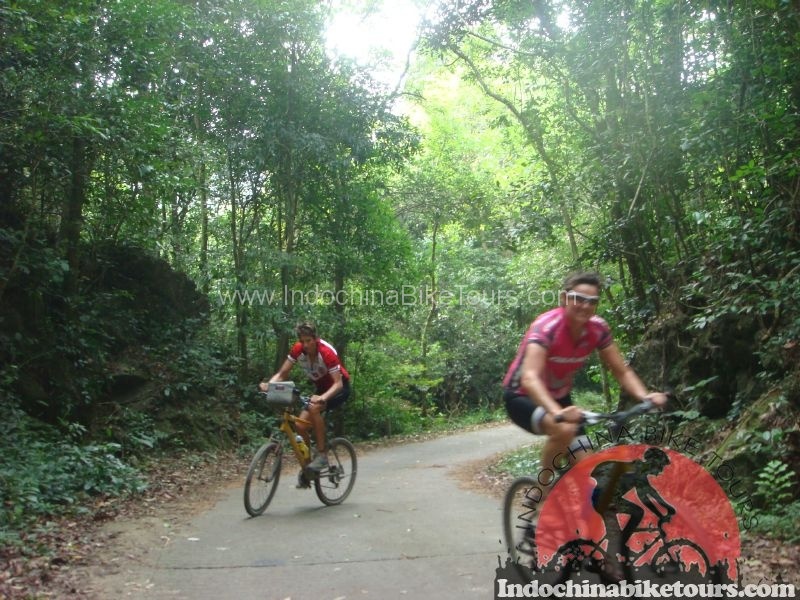 The ride takes us down to a bridge over the main river and for the next 40km we ride along a quiet road that gently climbs and follows the river upstream to Hoang Shu Phi, a quiet town at 1000m. Have a break in town for snack and refreshment then continue with downhill quiet road 60km to Viet Quang. We will have a late light lunch in Viet Quang Town then take a bus transfer to Ha Giang Town, the capital of Ha Giang Province which is the final frontier in northern Vietnam, a lunar landscape of limestone pinnacles and granite outcrops. Dinner and overnight in Ha Giang Town. Time to explore the local markets of Ha Giang before our beautiful but easy ride to the remote village of Bac Me. Overnight local hostel. 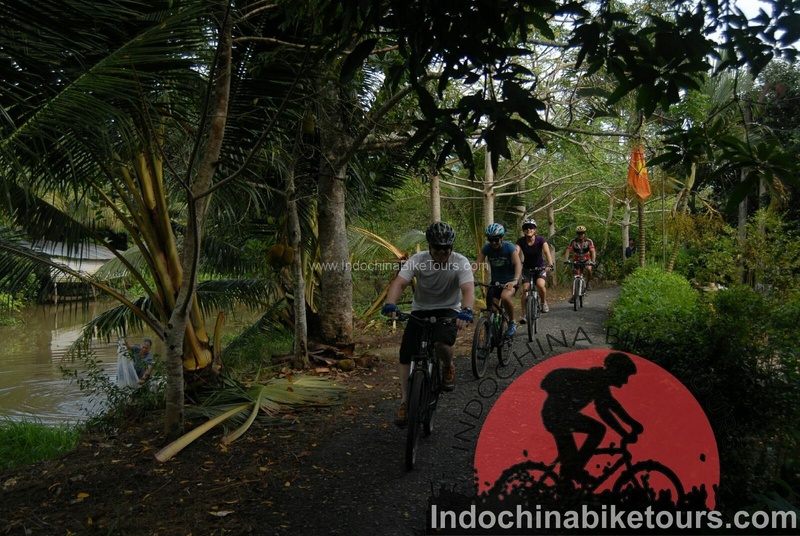 An epic cross-country ride, following a succession of paths, connecting mountain villages that end at Dan Dang. Finish with a boat transfer to Ba Be National Park via to visit the cave and water fall before reach to Home-stay in Bac Ngoi village . Today is one of most challenges day throughout the trip. Some skills are required on this road. Driving up to the top of the Binh Nguyen Pass with lunch en route. From the top, get on our bike again for a going downhill and arrive Cao Bang in late afternoon. Dinner at “Lau” restaurant and over night at hotel in Cao Bang. After breakfast, we are cycling through the most beautiful road up to Trung Khanh and Tra Linh towns with visit to villages en route. to visit most of beautiful waterfall in Vietnam in border with china . Transfer to Quang Hoa at the end of the day. Dinner and over night at the village in Quang Hoa. From valley of Quang Hoa, we follow the most beautiful route up to Dong Khe with stop at villages and for photos. Our driver is waiting for us at Dong Khe for driving to Lang Son with stop That Khe for lunch. Arrive Lang Son in late afternoon. Dinner at local restaurant and over night at the hotel in Lang Son. Breakfast and 7 Am cycling and driving from Lang Son to Ha Long via Tien Yen. Arrive Halong in early afternoon around 12:30 to check in on cruise , seafood lunch and dinner on cruise .Board on traditional junk and the boat cruise to the most isolated areas for spending the night. Swimming and relaxing on the beautiful beach. Dinner and over night on board. Wake up early in the morning to enjoy the best of the bay. The Junk continue to cruise through the bay. Lunch on board before back to the Harbor. Reach to Pha Lai and cycling along Dung river banks to visit Ho Paiting Village and But Thap pagoda for driving back to Hanoi.. Dinner and accommodation by your own . End The Tour . – Boat trip mention in itinerary , train tickets Hanoi to Lao Cai . Glide down hills, through villages and fields to experience the north’s wilderness. Minor program changes are sometime necessary, depending on road conditions and weather.This itinerary allows for 14 days on the cycling section. You will be able to decide for yourself at any time during each of these days how far you want to cycle. Average daily cycling distances are approximately 40 -100 km. These distances may vary according to weather, road conditions and group fitness and preferences. This is a sightseeing cycle tour, not a marathon or time trial.